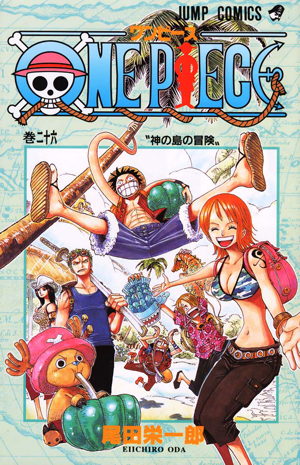 Watch anime online, stream anime episodes for free, you are watching One Piece Episode 453 English version online and free episodes. Anime Episode guide, Chapter One Piece Episode 453 English Subbed The Friends’ Whereabouts! The Weatheria Report and the Cyborg Animals! As Luffy’s ship heads to Marine Headquarters, the scene shifts to a point some time in the past. Nami is still on Weather Island, which slowly heads toward the Sabaody archipelago at a pace determined by the winds. She sees the old man demonstrate his ability to summon large rains and store thunderstorms in soap bubbles. 4.8 / 5 - 25 ratings.